3.8 out of 5 based on 48 bloggers and 23 commenters. 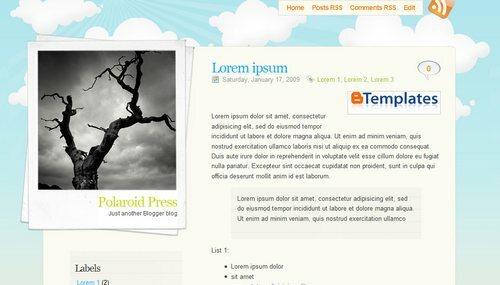 PolaroidPress is a free blogger template adapted from WordPress with 2 columns, left sidebar, fresh look and vectorial elements. Excellent template for blogs about to write a diary, nature or photography. 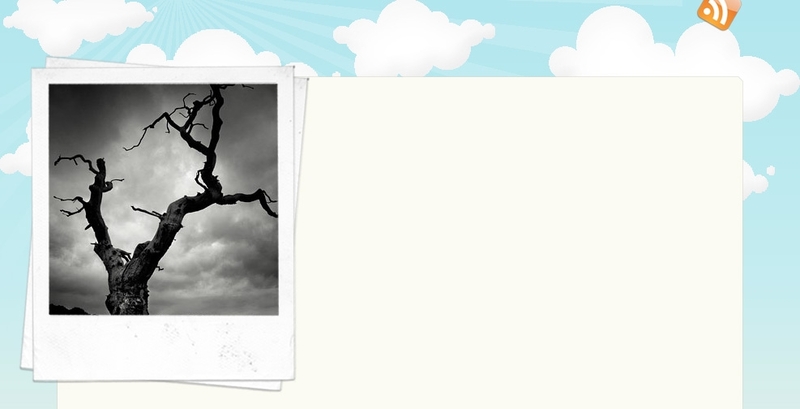 how do i change the pic of the tree into something else?? I wish you would include the background images with the download or at least move them to photobucket because your links are very unreliable. sorry the previous comment did not print the xml info you need to look for. How do I make the “blog section” wider? the part where you post pictures and write text? I really love this design, the simplicity of it, but I’m having a heck of a time customizing it, even after following the instructions. I’d like to replace the picture of the tree with my own headshot, and can’t find which image link in the HTML to replace. I think with some creative problem solving, I can figure out the rest. Ok, It’s me again, I followed your instructions on editing the picture, but now I cannot get it to be the correct size. I’ve uploaded it in a post on blogger, and linked to the html code for the picture in that post, that doesn’t work. I’ve uploaded it to my professional website, and tried to link to it from there, but my web host has too many issues with it’s servers, so who knows if I’m actually gonna have a top of my blog? I found the picture in my picasa album (cuz I uploaded it to my blog), but it only gives me the option of embedding up to a size of 800px which is not large enough, the original image is 987px. I’m ba-ack! Sorry for excessive comments, I figured out the answers to all my previous questions, read in your blog comments (http://chicablogger.com/polaroidpress-theme-gratuito-para-wordpress-y-blogger/) to use photobucket or imageshack, so I tried that and it’s all working wonderfully now! However, I would like my posts to show the dates, but it appears to be disabled. How do I enable it? Hi, I’ve been using this template on IE and it works perfectly. However, the photos looks elongated in Safari. May I know how do i resolve this? Thank you.